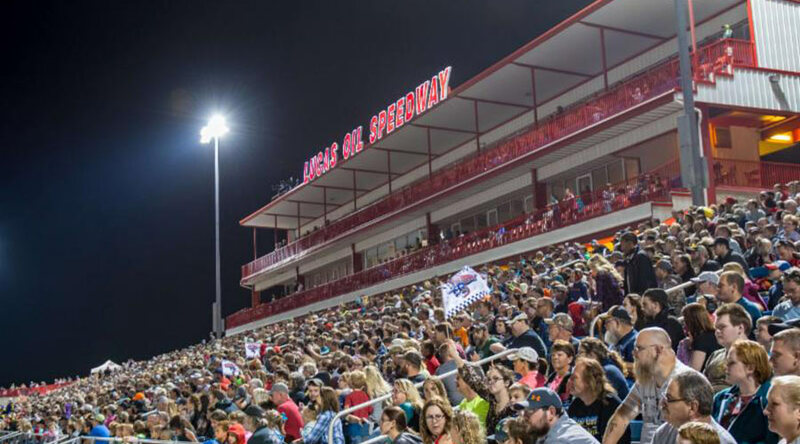 The CW Ozarks & Sports Zone Present Fan Appreciation Night at Lucas Oil Speedway with Food and Drink Specials all night long. Classes in action include the Warsaw Auto Marine and RV ULMA Late Models, the Pitts Homes USRA Modifieds, the O'Reilly Auto Parts Street Stocks, and the Ozark Golf Cars USRA B-Mods as the fight for the Lucas Oil Speedway Championship heats up plus a special 25 Lap, $1000 to Win the Pitts Homes USRA Modified Special. The Show Me Vintage Racing Club will return to put on a vintage exhibition race. You won't want to miss it! 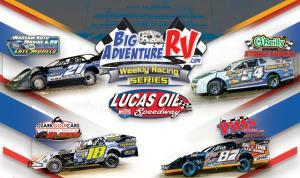 Spectator Gates open at 4:00, hot laps at 6:30, and racing at 7:05.